Think develops websites, strategies and content to increase awareness and drive site traffic. 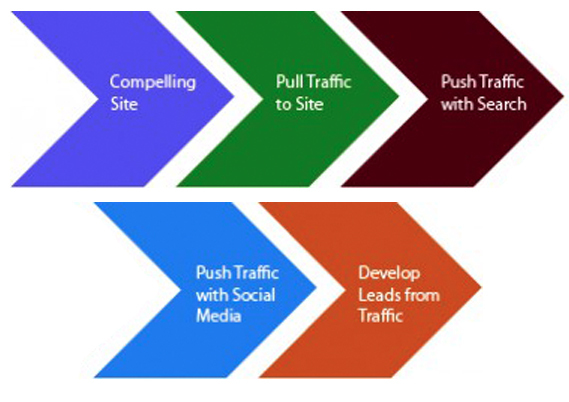 We institute interactive social media tactics to make your site a daily destination and boost revenue. Our blend of intuitive design, targeted strategy, human interaction and content management, harnesses the power of new media to reach your marketing goals. Yeah… we design and build websites – but there’s no shortage of organizations that do that. Think actually takes a look at your website and integrates it into your online strategy, making sure that your website is creating opportunities for you and your business. Yes, your website is your first impression… but you don’t even get to make that first impression if you can’t drive traffic to your site… and demonstrate your expertise in clear, precise messaging when they arrive. Think takes a holistic approach to your website efforts. We stand behind our build and design expertise as rivaling sites you receive from large agencies… at a fraction of the cost. But more importantly, we’ve developed a process that helps ensure your web efforts drive real ROI. Think takes the lead in writing and editing all website prose with succinct, clear, and compelling communications, including more effectively communicating the benefits of your solutions and portraying differentiators. Each and every website we develop is fully expandable and flexible so your website can “evolve” rather than needing to be replaced.